"probably staying off FB and twitter tomrrow since everyone and their mother will tweet about 9/11... is there anything else we can talk abt?" When I read that, I was a left speechless and sad. Yes, life goes one. People have happy things going on today (birthdays/anniversaries/etc). We should celebrate and be thankful for those special moments, but 9/11 is day that forever changed us. 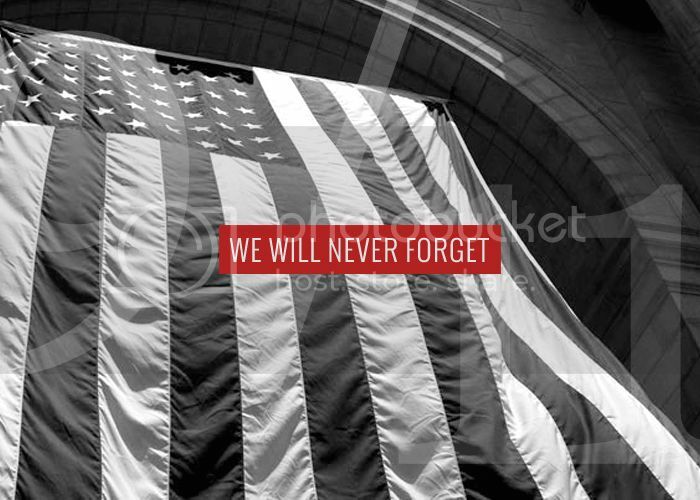 Today, take a moment and remember the innocent lives that were taken and those who have and continue to courageously fight for our freedom. I remember like it was yesterday. My heart aches just as much today as it did that horrible day. oh my goodness..... what a sad tweet. and in contrast a beautiful picture! and great post. loved this lady! The person must be a very bitter person. And out to annoy and hurt others. Don't let her hurt you and take the shine from your generous heart, even towards her tormented sould. Wow, that is very sad. Every day is a gift, we should remember that and never forget those that lost their lives on that sad day. I can't believe someone wrote that, how can they be so flippant about it? I actually felt weird going on about my day like normal today- blogging, laughing, and grabbing lunch. I feel like it didn't recognize the seriousness of today. But just like you said, most of us will never forget.